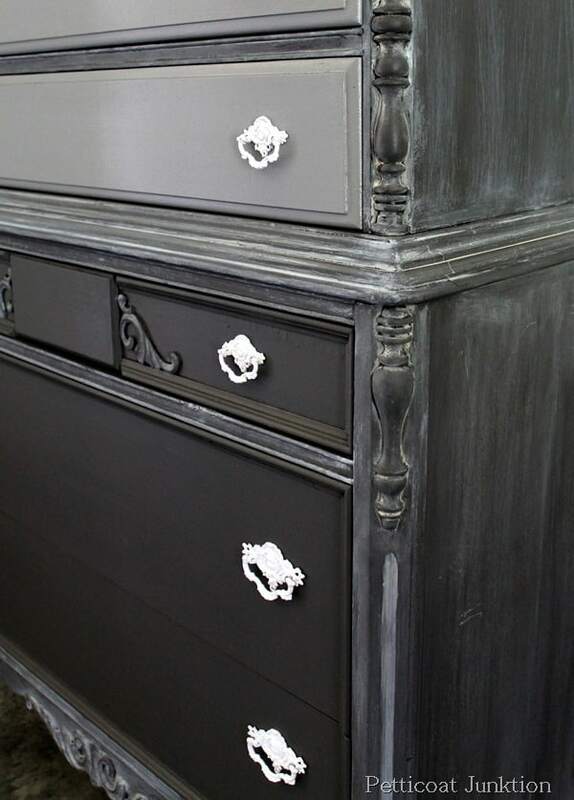 My Beyond Paint furniture makeovers are some of my favorite. If you’ve been around here very long you know I use all types and brands of paint. I’m not a one note painter but I do love this paint. I realized over the weekend that I forget a lot of times to share the paint brand when I write my post. I am especially bad about mentioning the Beyond Paint brand. I sold this brand in the shop until the beginning of the year when I sold my stock to the shop owner. I decided a few months ago I was going to shake things up. Move on to other things. I quit selling paint. At one time I retailed 4 lines of furniture paint. There are so many furniture paint brands the market is saturated. I don’t know how all these people are going to stay in business. Even though I don’t sell Reclaim anymore I use it weekly. The paint is a three-in-0ne product-no priming, sanding, or waxing/sealing required. Can’t beat that. I’m sharing some of my favorite projects painted with Reclaim paint today. I’m not sure how many projects I’ve completed using Reclaim but there are a bunch. The photo at the top shows one of my favorite makeovers ever! I went all out on the piece. It’s a real antique and was in two pieces when I bought it. It had also been chewed on by a horse, really. You can see the makeover and all the details here…Two-Tone Frosted Paint Finish. 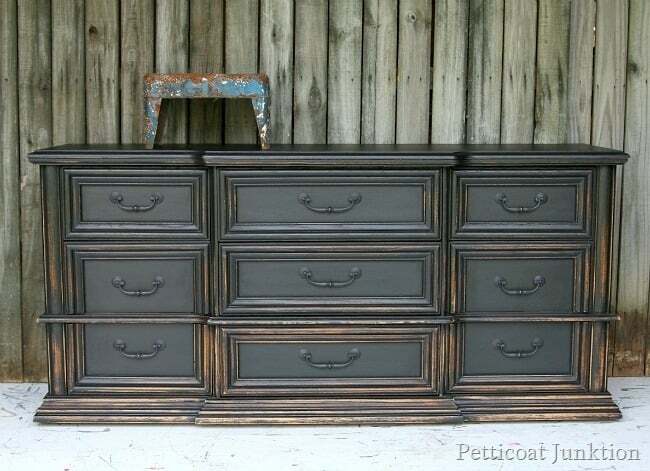 The black dresser is a Pottery Barn Knockoff. The Pottery Barn piece was priced at $1899.00 and my dresser was $65. Of course I need to add the price of the paint but that doesn’t amount to much. You can see it here…Pottery Barn Knockoff. This piece I have in my home. I painted and aged it using Caromal Colors Toner. 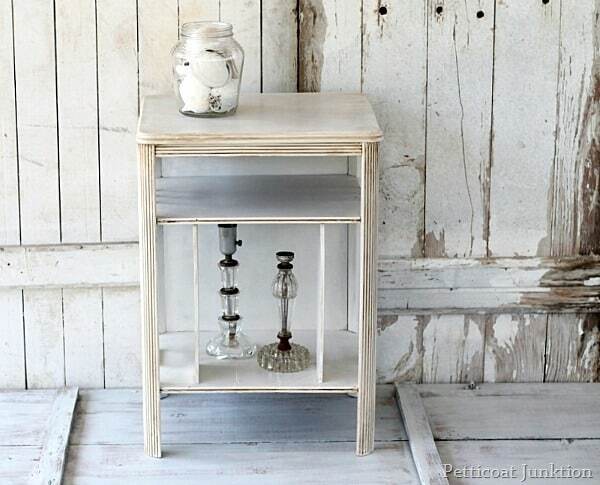 Find it here….5 Days of White Furniture. 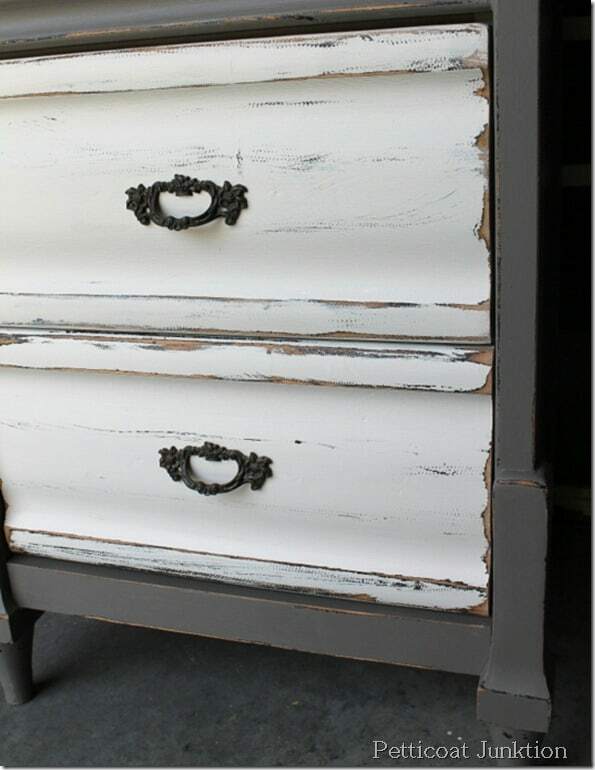 There is nothing prettier than white paint distressed and aged. Just my opinion. This is a favorite too. 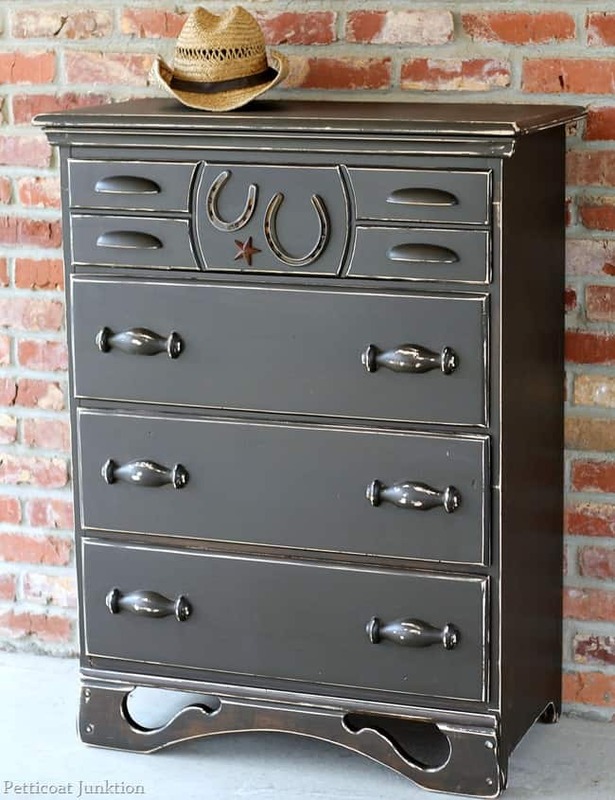 I painted the chest with Reclaim Beyond Paint in Mocha color then nailed the decorative horseshoes and star to the top drawer. Perfect for a boys room. You can see it here… Themed Furniture Cowboy Style. Two-tone off-white and linen. 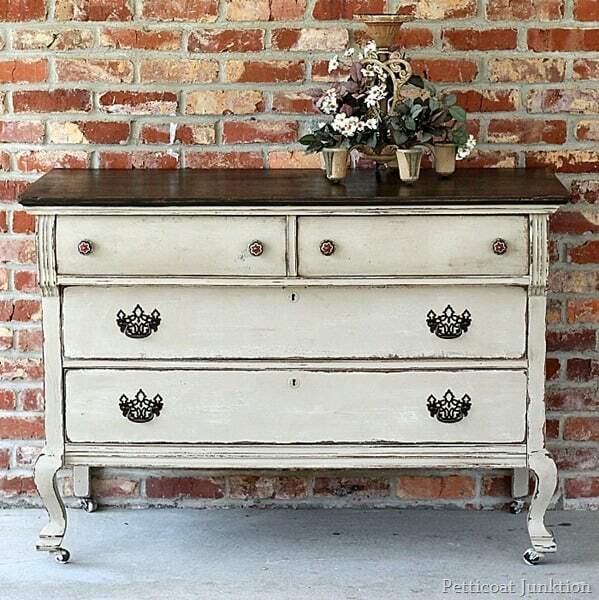 Very classy…..Foyer Chest Makeover. I did this piece in 2011. That’s why the photo is so small and not very good quality. I had just started blogging and sharing tutorials and photos. The top of the dresser is painted Mocha color. See it here….Furniture Show And Tell. The nightstand pictured above is one of a set. It is in our master bedroom. I like the look but thinking of painting it again! 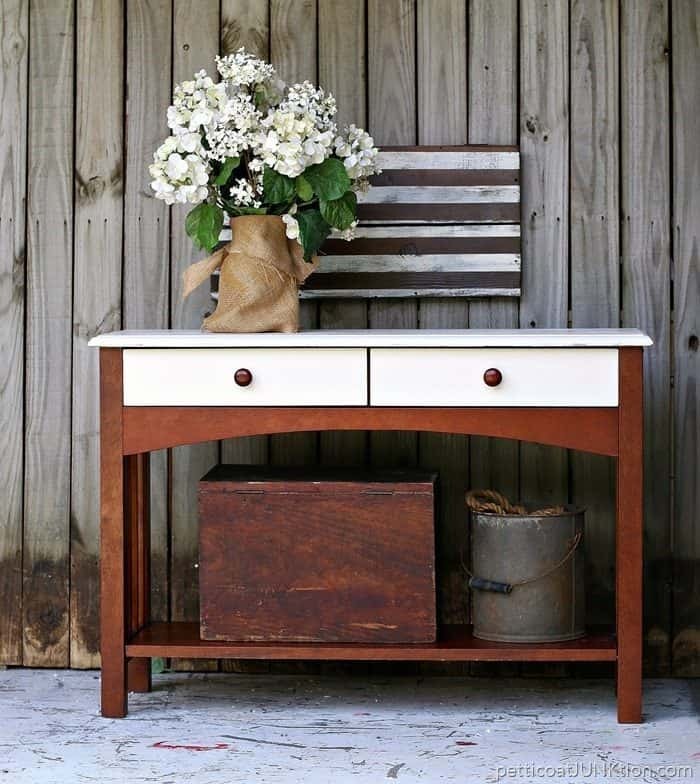 Find it here….Furniture Revival. I really love the buffet. I’ve painted several of these pieces but haven’t been able to find one within my price range in a while now. This is Reclaim paint in Licorice. 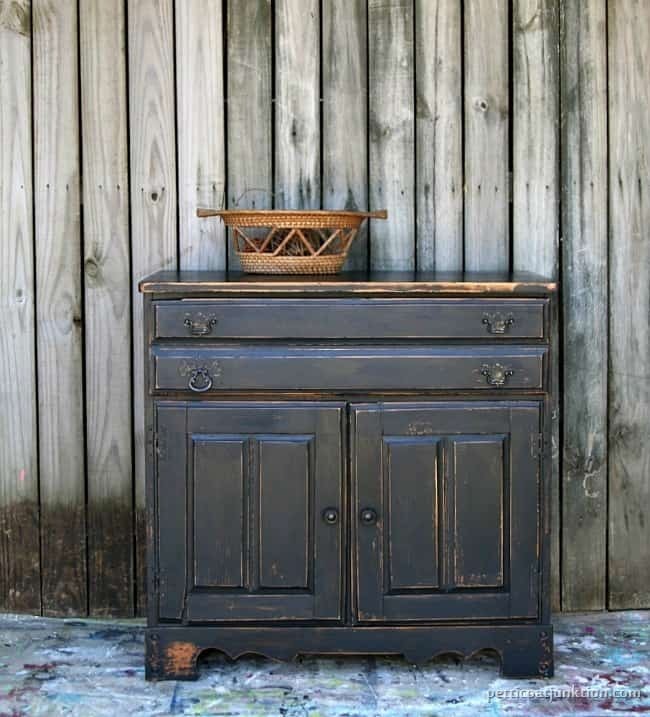 You can find it here… Black Buffet with Distressing. Love the legs! 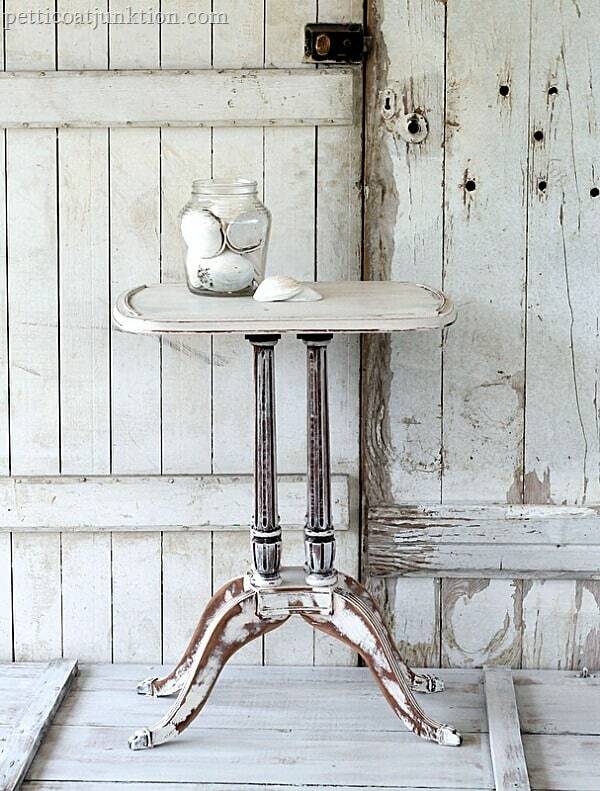 Find it here… Shabby Chic Table. 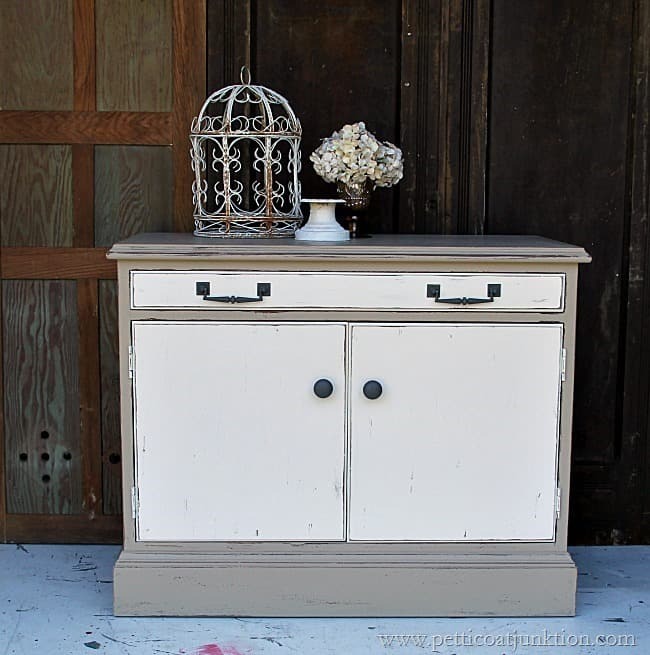 Another favorite….. Gray Painted Chest With White Hardware. 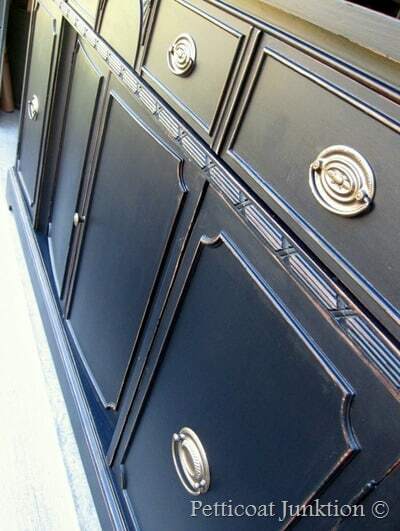 I shared this makeover recently in the Question and Answer Series…..Black Hepplewhite Style Buffet. 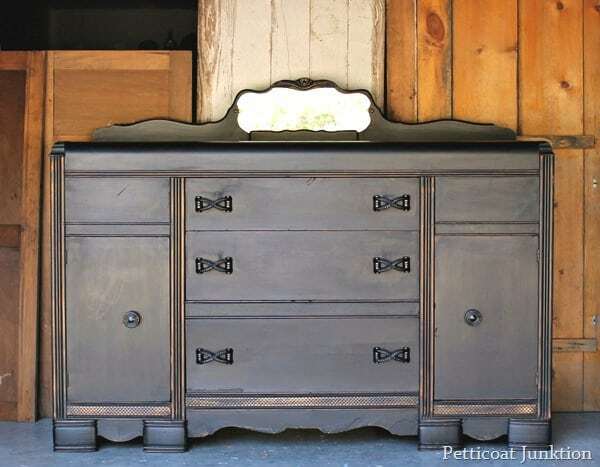 Ah, this beauty has a two-tone aged finish….Painted Furniture Makeover How To Antique Furniture. 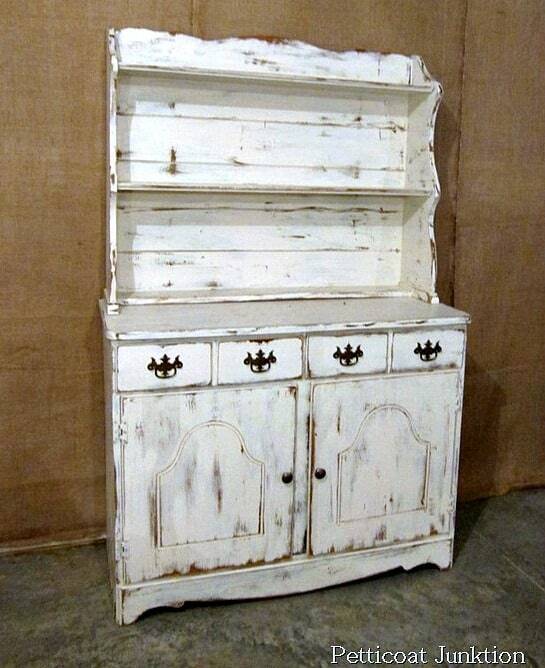 Beyond Paint – Painted in 2012….White Hutch. I filmed this video (no advertisements in video player) of me using Beyond Paint. Click below to view…..
Wow, that’s it. The sheen of the Beyond Paint is what I like best. It’s between a flat and a satin or eggshell finish which means its not overly shiny. The price is a little more than some paints but for the quality and the three-in-one aspect the price is right. Coverage is great too. One quart goes a long way. Find my favorite paints and DIY products on the Petticoat Junktion Amazon Page here. Tomorrow is themed furniture day and I have to say…I really love my project. I was a little concerned about it for a while but finally got the look I was going for. See you tomorrow. Have a great day! « Is A Mirror Top Coffee Table A Yes Or No? I sooooooooo enjoy furniture redos;repurposing, especially painting. Thank you for sharing these. These are all so beautiful! I just finished painting my first piece of large furniture with chalk paint and I’m just waiting the the new drawer pulls to arrive. It’s amazing what a bit of paint will do! These are gorgeous! The pieces you have started with are so unique and you have made them just beautiful! 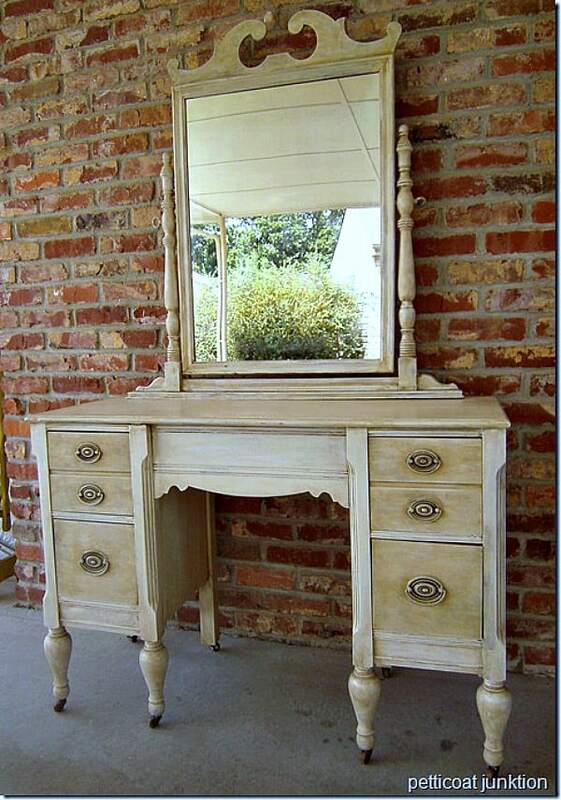 You’ve done some beautiful work transforming these furniture treasures! Once again WOW I want to grow up and be just like. You ! These are all so awesome, we’re can you find reclaim paint? Thank you for sharing!! I’m getting ready to start a re-do of an antique dresser that was given to me by my father and was his aunt’s. I’ll post before and after’s. 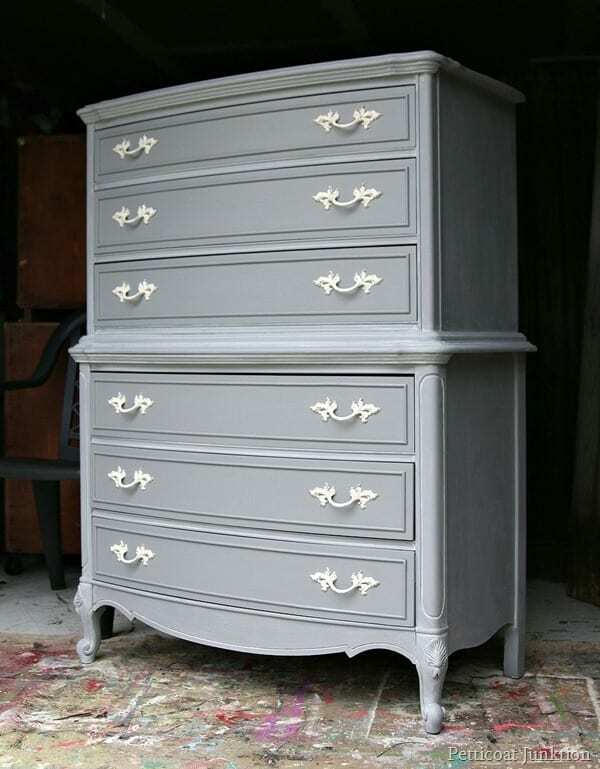 I want to do it like your light grey dresser with the white pulls – so classy! Thank you Heidi. I love that gray piece. I know, patting myself on the back…and having a piece of chocolate, lol. I’ll be looking for the reveal! These are all soooooo gorgeous and the little shabby chic table is just WOW! !